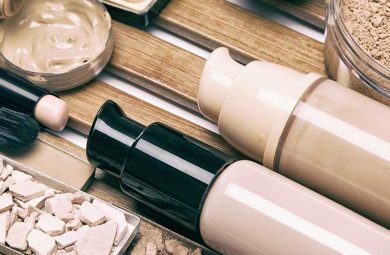 Cream vs Powder Blush: Which Option is Best for Your Skin? Many women love adding blush as the finishing touch of their face makeup routine! There is just something refreshing, elegant, and youthful in this product that we all love to throw on top every day. A pinky looking blush can look cute even when you have no makeup on, so it is a must-have all year-round, no matter the event that you are off to. However, when it comes to your preferred blush, there are two possibilities: cream vs blush powder. If you are not too sure what we are talking about, but you want to find that perfect blush, then keep on reading! As you probably know by now, blush is used to give you some color. 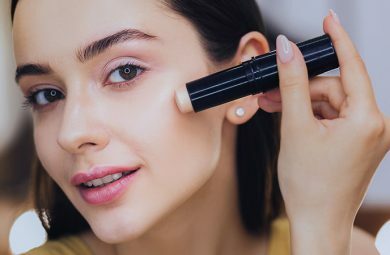 This visible color payoff will give your entire face some warmth, but most importantly, it will highlight your cheekbones. It is applied on the high points of your cheeks, and it gives your face a nice sculpted, yet rounded, look. You probably didn’t know that women used to wear blush made from fruits decades ago, right? Luckily, makeup companies are now coming out with all different and innovative formulas. You can experience different textures, finishes, and overwhelming scents, as long as you know what to look for in your ideal blush. When it comes to consistency, you can choose between two types of blush: cream and powder blush. Both have their pros and cons while being very similar in price, and overall look. This kind of blush has a creamy soft texture that feels very wet when applied to your skin. Cream blush was presented to the market after powder blush had already become a popular option but succeeded in amazing women. It comes in a small container, and feels cool once it is applied on top of your skin. Cream blush, despite looking very natural and lightweight on your cheeks, can be built up easily. This means that you can control its color payoff by adding layers. Who Should Use Cream Blush? Anyone can use this blush. However, this type has some specific features which women with drier skin might find more appealing. For instance, cream blush will feel very hydrating on top of dry skin, and it can be applied using your fingers. This application is very simple and easy to achieve when out the door and on foot. It is also hassle-free since you will never have to carry a makeup brush with you. If you are someone who prefers a dewy, natural look you’re going to love this blush finish. However, if you have extremely oily skin, you should avoid this blush since it will enhance your oils even more. Powder blush often has an extremely visible color pay-off. It feels and acts like your typical translucent powder or bronzer once it is layered on top of your cheekbones. You can find powder blushes at affordable prices at your drugstore, or you can find luxury options online. Either way, powder blush is ideal if you like intense makeup. However, with your powder blush, you will have to be careful since you can’t tame down the pigment. 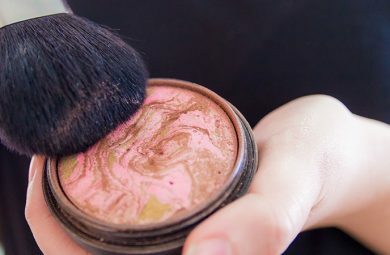 You will have to be ready for bold makeup looks, or you can seek minimal pigmented blushes (which are often a lot more affordable), but you can never have a 2-in-1 option, which you can with cream blushes. Who Should Use Powder Blush? Women who need long-lasting results will love this type of blush. It is ideal for every skin type, but people with super dry skin should be careful as it can enhance your dryness. You should go for this option if you are into defined cheekbones, or if you love wearing a full face of makeup. Luckily, this blush can look super matte, or it can have some flakes of gold, shimmer, or satin in it, which means that you have options! However, this is not the case with a cream blush since a cream can never look matte. Powder blushes are also ideal for those who have oily skin since they can absorb the oil and leave you with a matte texture. Once you know the basics and what type of blush is ideal for your skin type, you can proceed with your next purchase. If you are into cream blushes, you can try out Bobbi Brown, Clinique, Tarte, or even NYX. 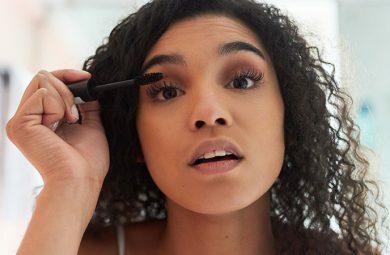 Some of these are high-end and some are affordable, but all of them can still give you a visible and buildable color payoff. If you are thinking about purchasing powder blushes, you should consider Benefit or NARS. These are high-quality with a visible color payoff, and they are safe for every skin type due to their high-quality ingredients.